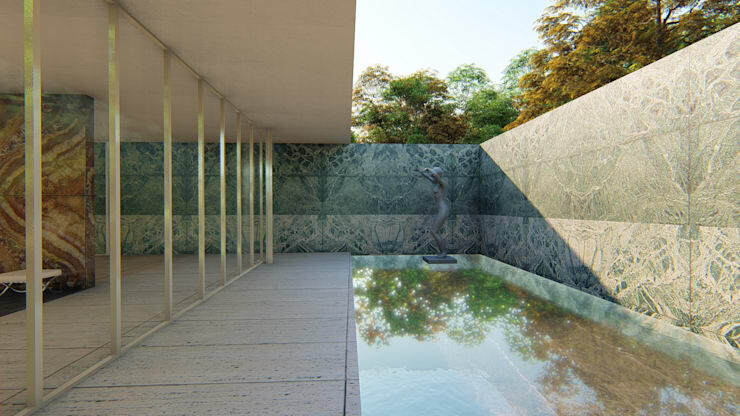 Ancient green marble from Greece. 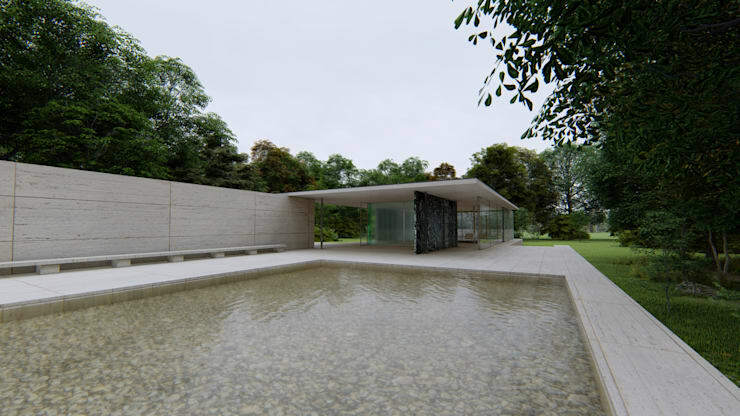 Glass, steel and four different kinds of stone. 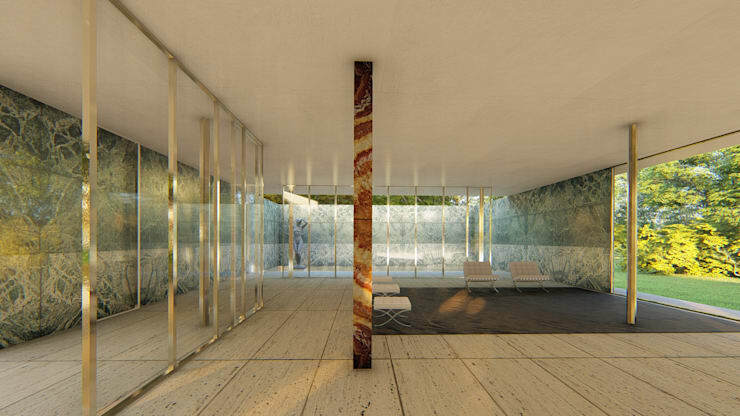 Marble wall: Golden Onyx from the Atlas Mountains. 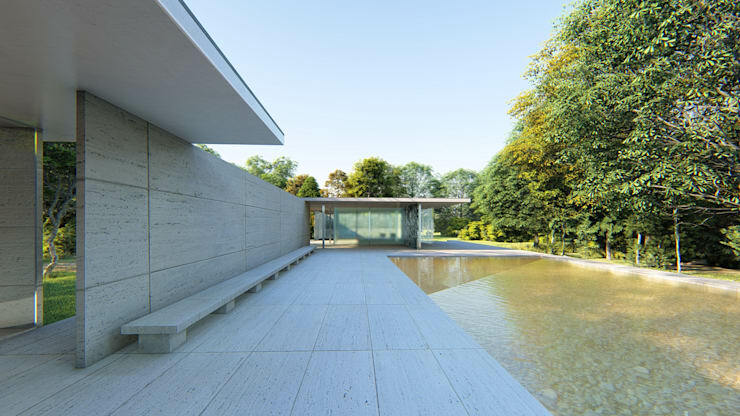 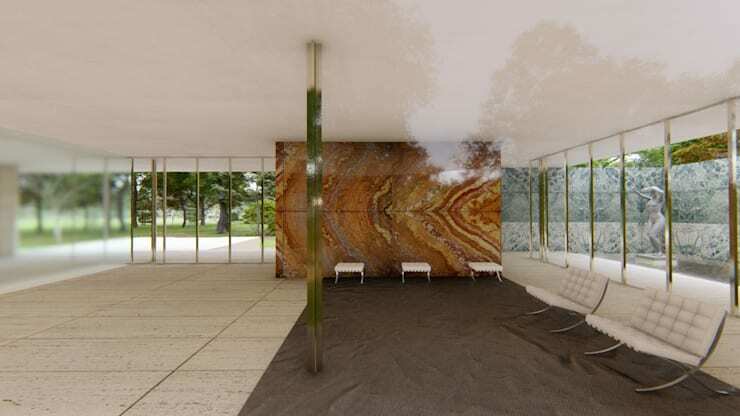 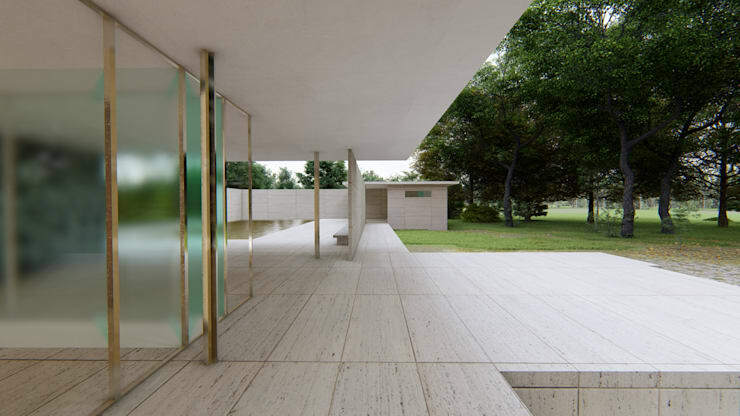 Mies placed Georg Kolbe's Alba ("Dawn") in the small water basin, leaving the larger one all the more empty. 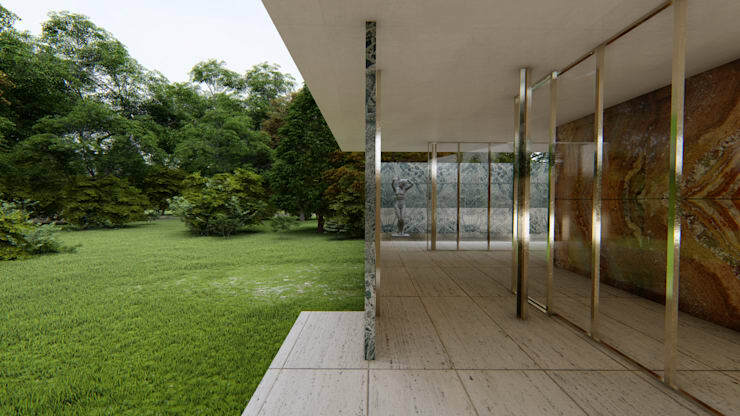 The sculpture also ties into the highly reflective materials Mies used—he chose the place where these optical effects would have the strongest impact; the building offers multiple views of Alba.